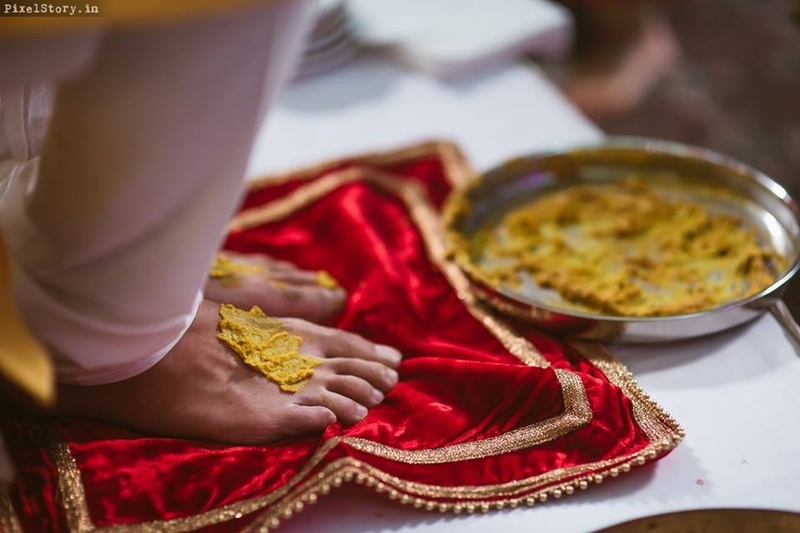 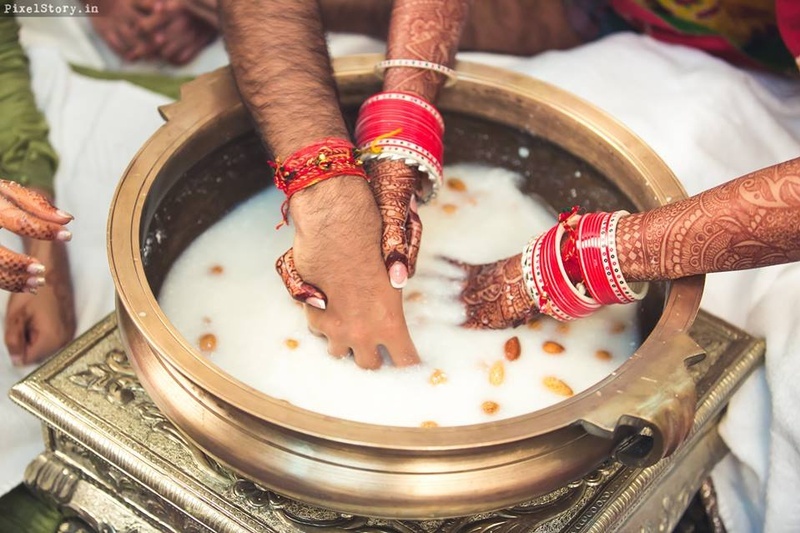 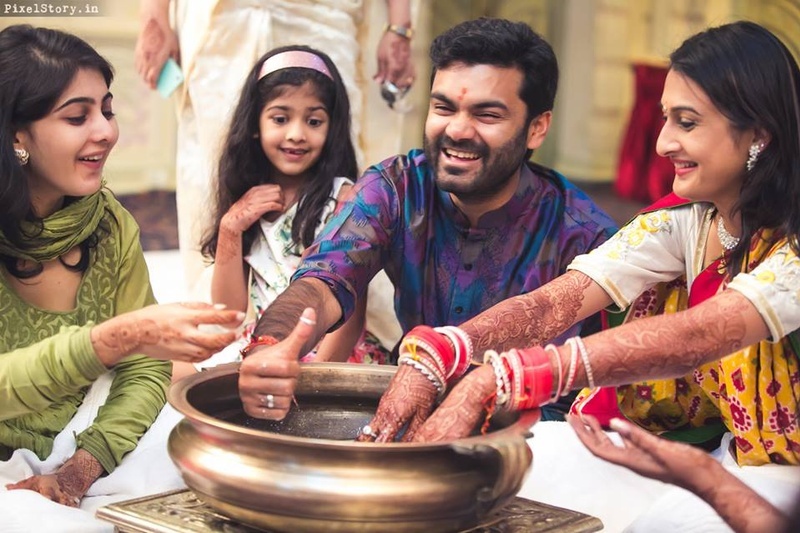 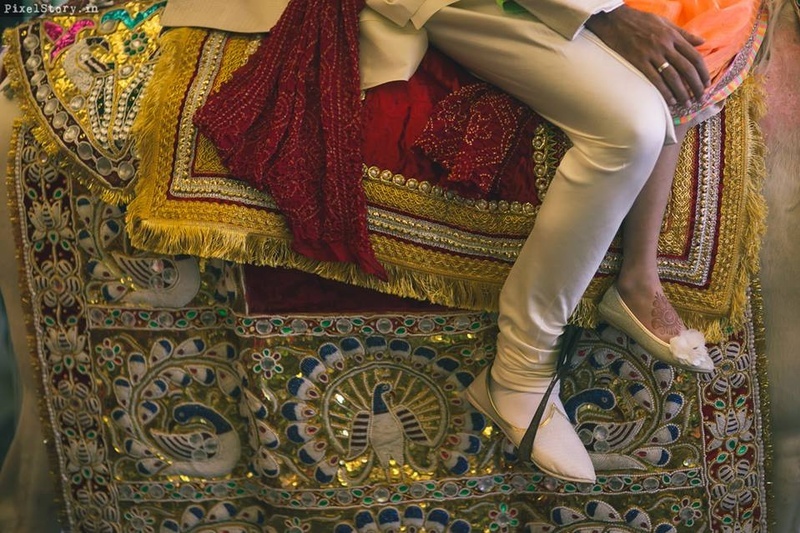 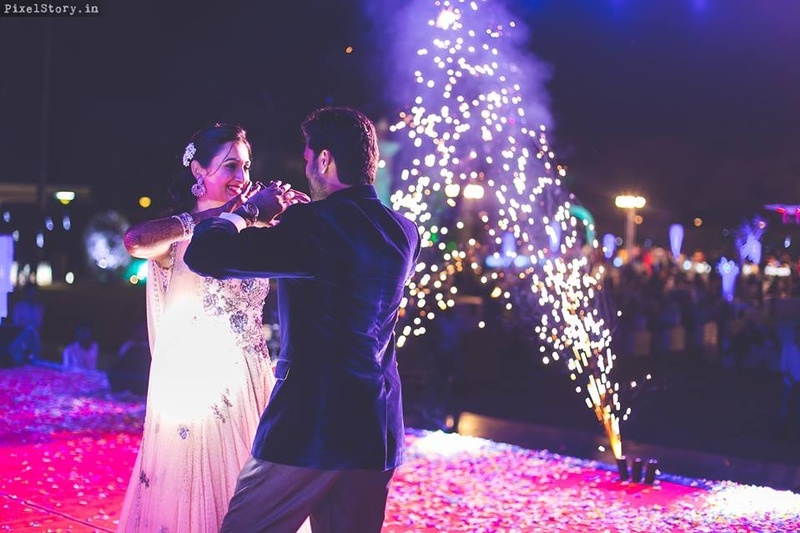 Big Fat Indian Weddings will never cease to impress us! 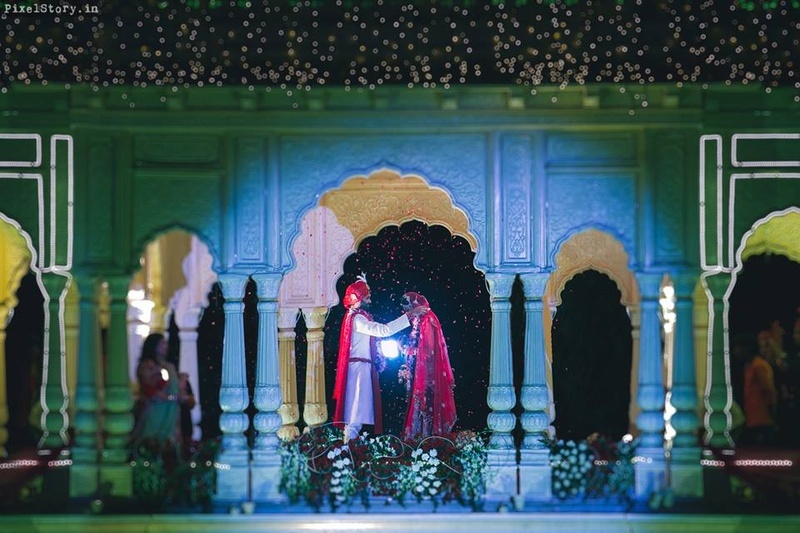 The larger-than-life wedding stage décor, lighting set ups that could give a Bollywood movie a run for its money! 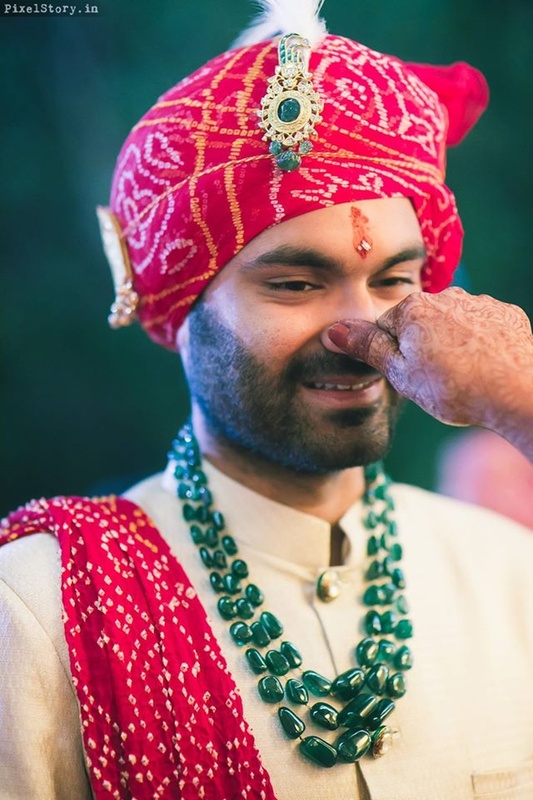 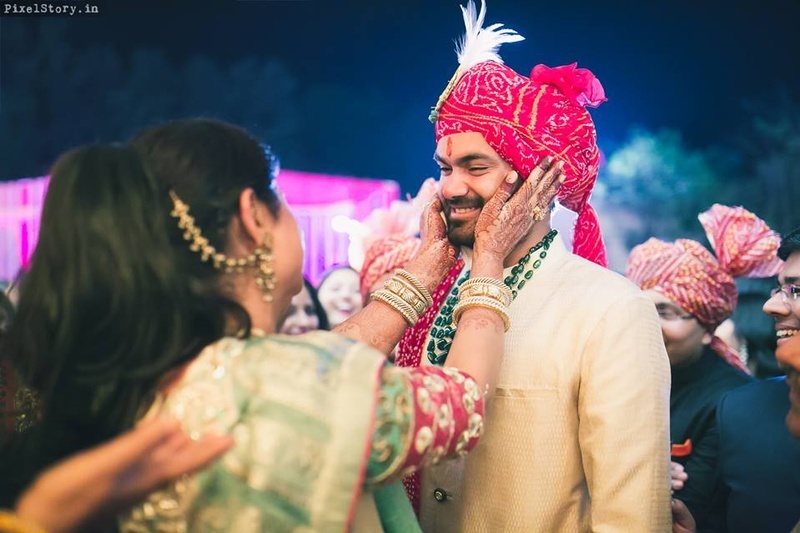 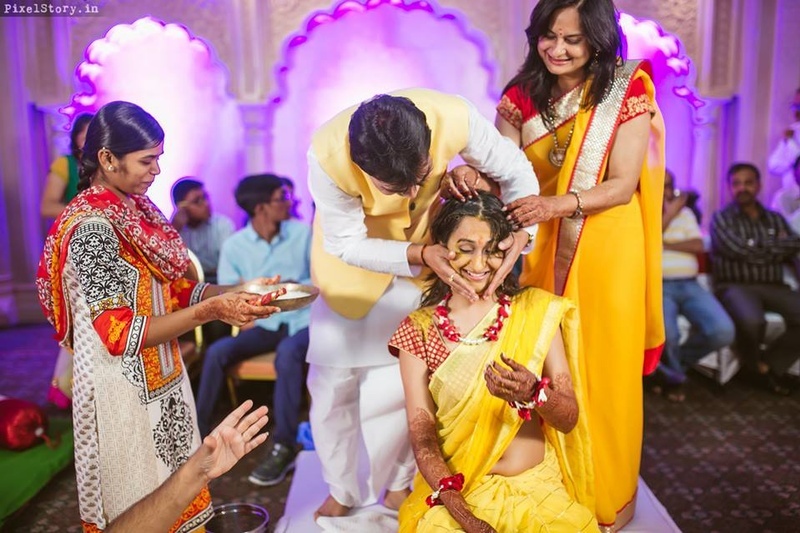 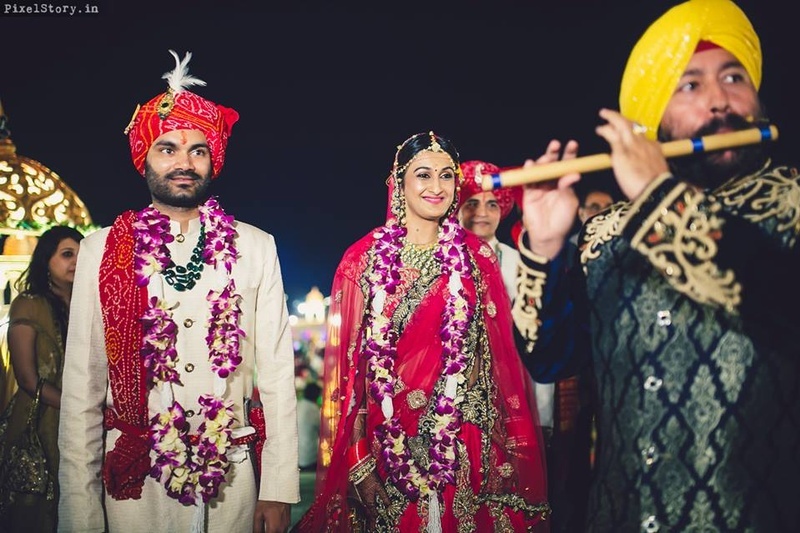 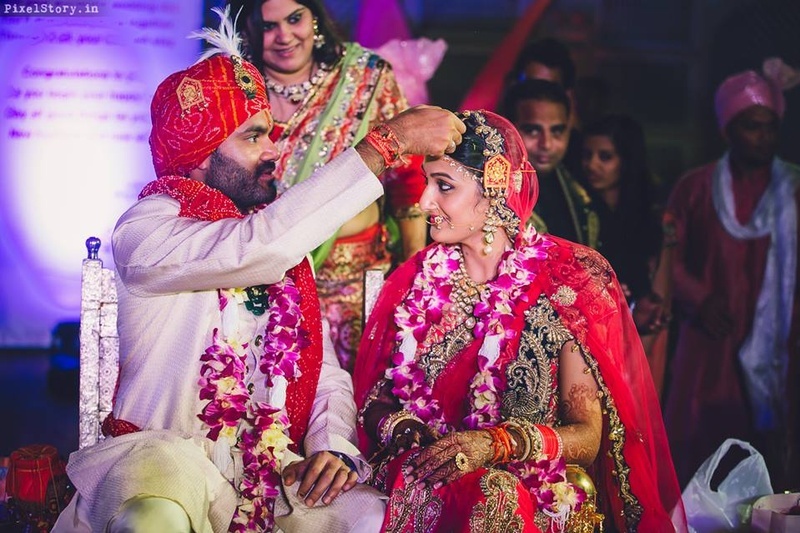 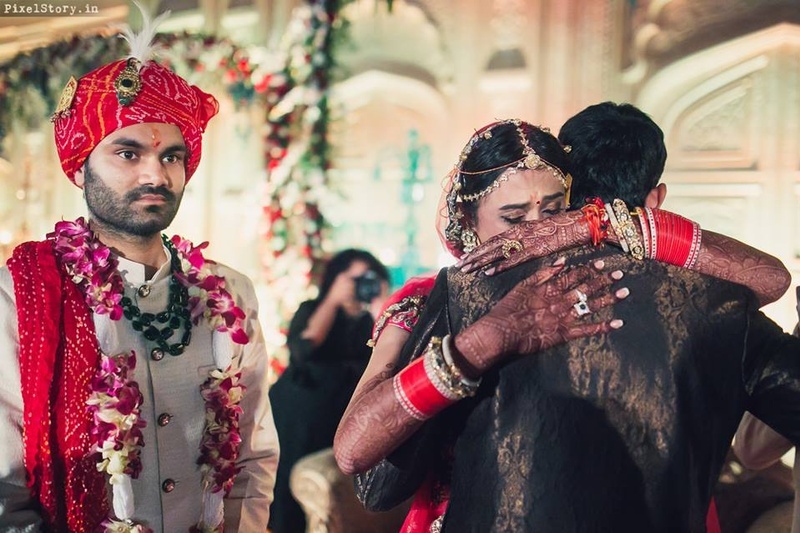 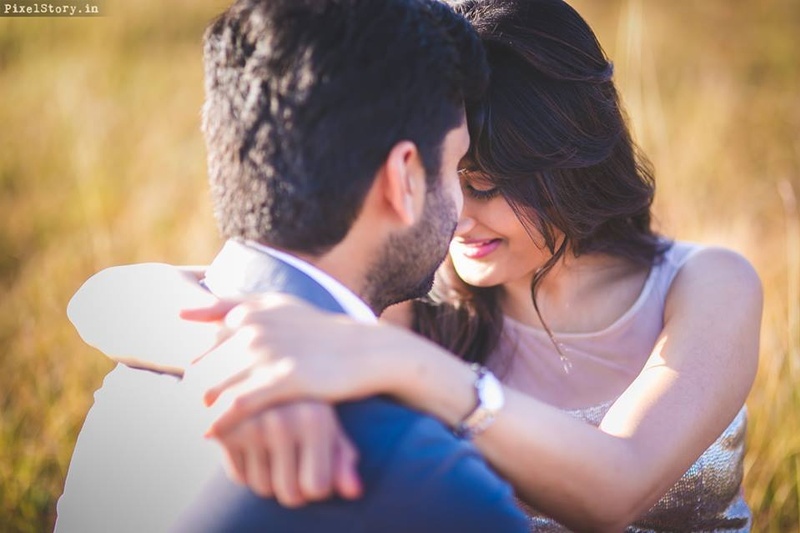 Well, Gaurav and Khushboo’s destination wedding held at Ramoji Film City, Hyderabad was exactly that! 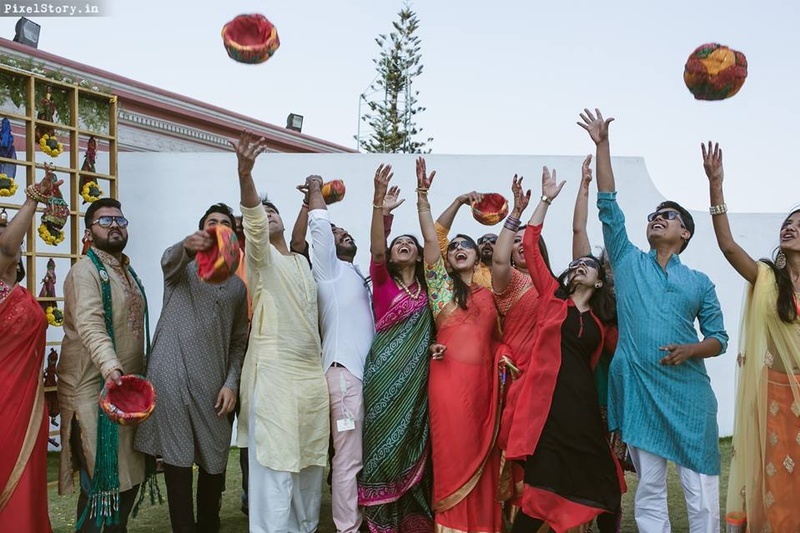 Loads of music, dancing, secret meetings and buckets full of love. 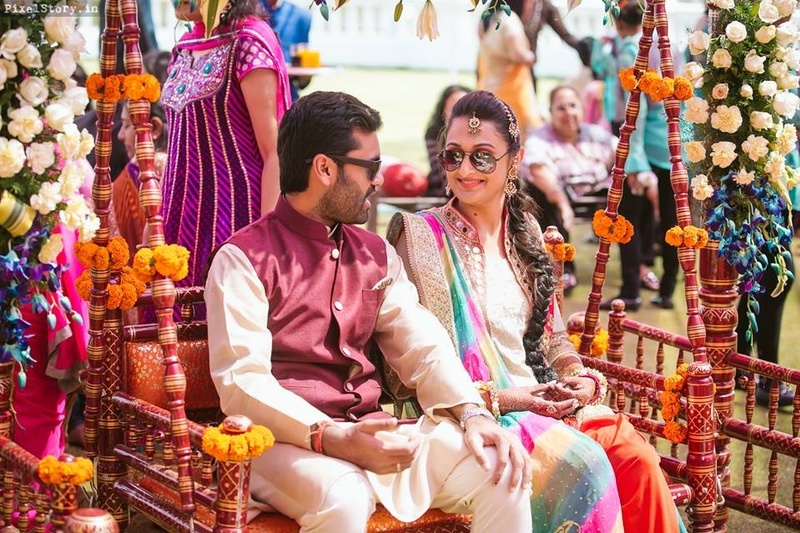 This arranged-turned-love marriage of Gaurav and Khushboo took us back to the wedding times in Band Baaja Baarat #NoKidding. 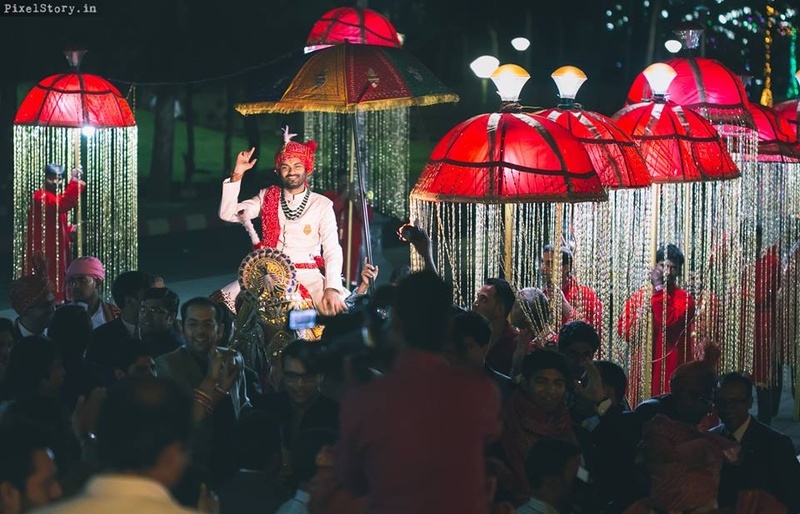 A wedding whipped up by Wedding Planners, Bling Mushrooms that did its wedding venue full justice! 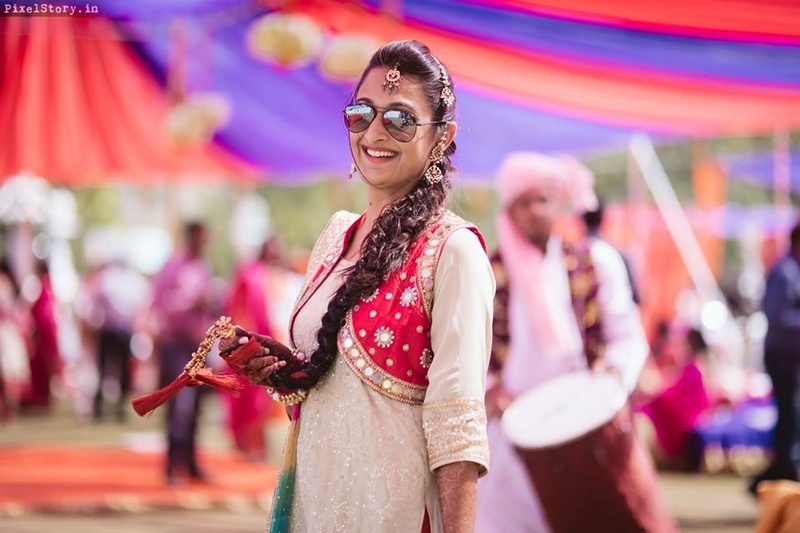 Right from the Punjabi themed mehndi where a personalized photobooth was set up right to the reception where Khushboo stunned in a red and navy toned Rohit Bal bridal lehenga. 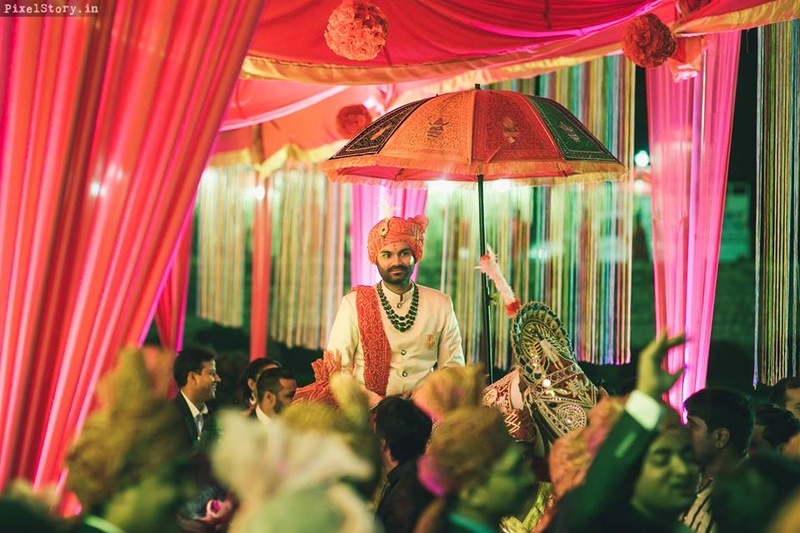 PixelStory.in captured this Big Fat Indian wedding (held true to it’s name) in all its grandiose and glamour. 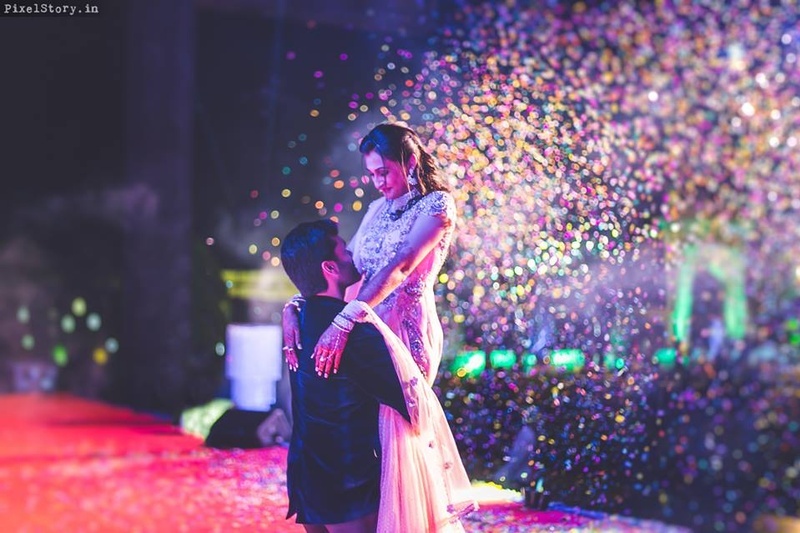 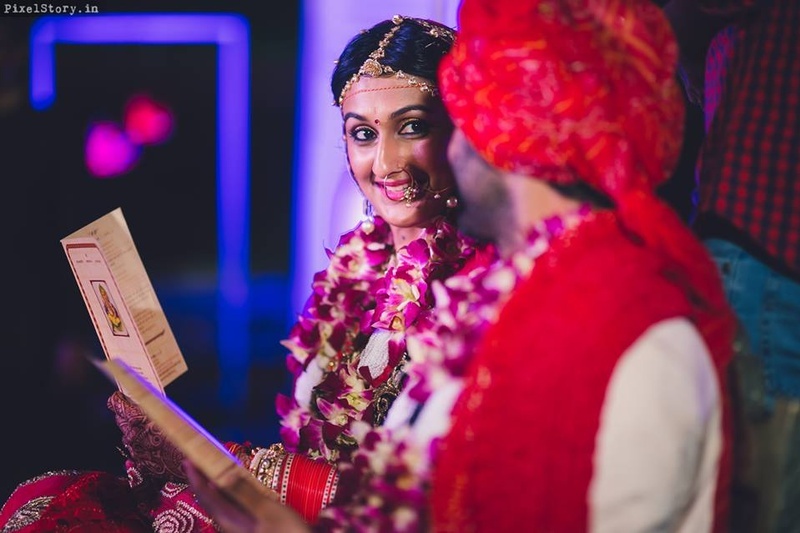 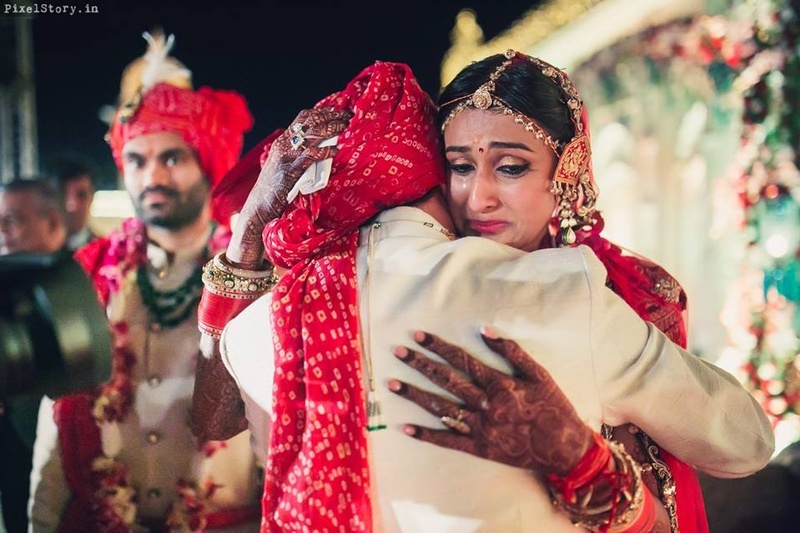 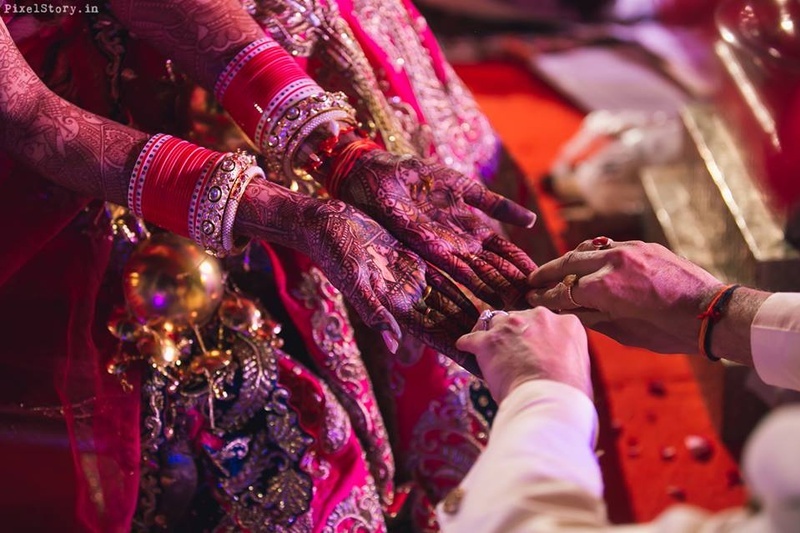 What to look out for as your scroll through this destination wedding held at Ramoji Film City, Hyderabad – the stunning lighting of the wedding, the wedding band in crystal dangling umbrellas and Khushboo’s stunning chaddar embellished with lights! 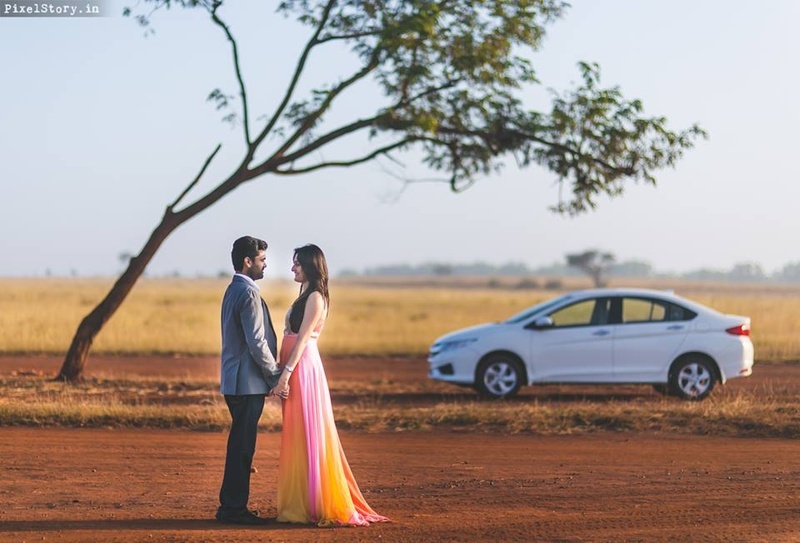 Beautiful outdoor pre- wedding shoot by PixelStory.in . 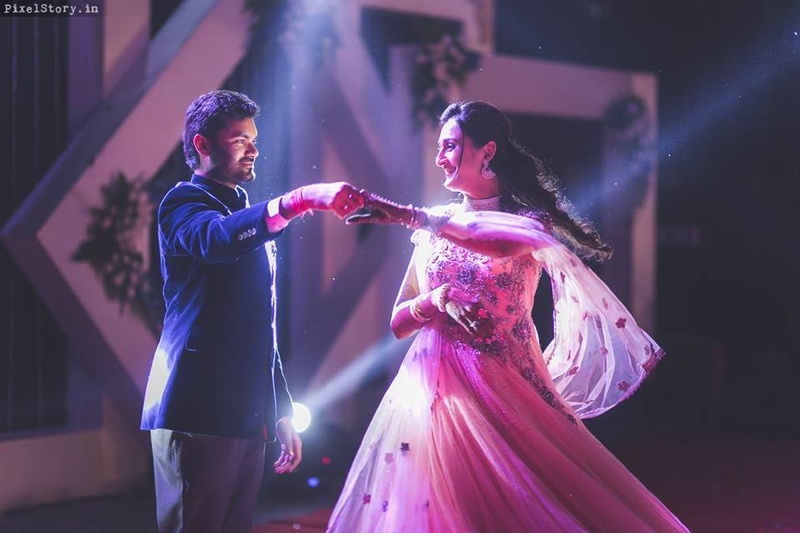 Khushboo wearing colorful ombre dyed full gown and Gaurav complementing her in a grey blazer. 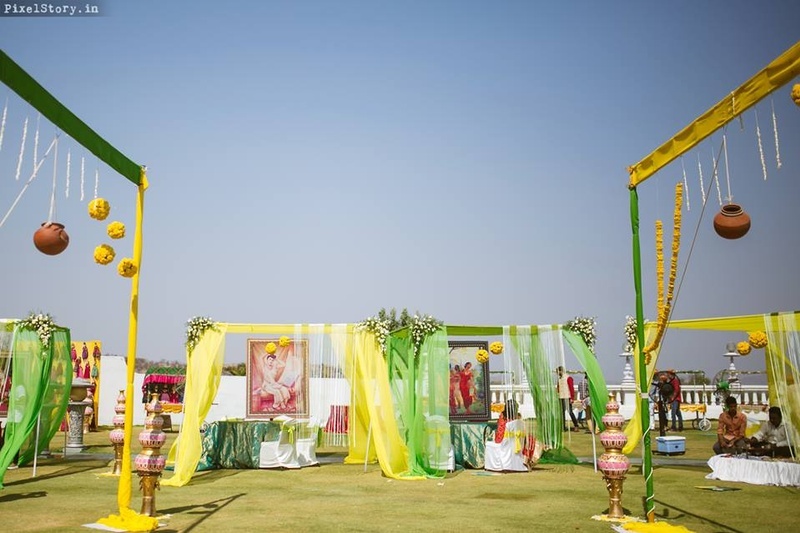 Beautiful Yellow and Green decor for the Mehendi ceremony held at RFC, Hyderabad, by Bling Mushrooms. 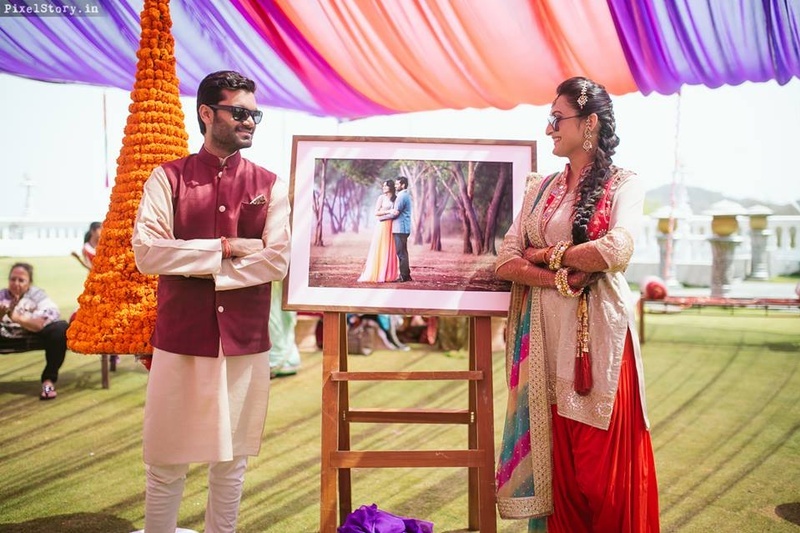 Pre wedding shoot photograph installation for the Mehendi Ceremony. 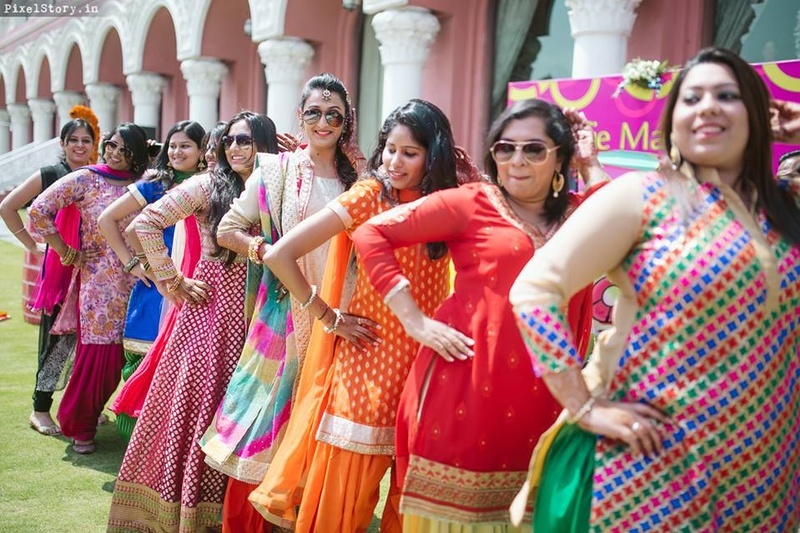 All the colorful brides maids. 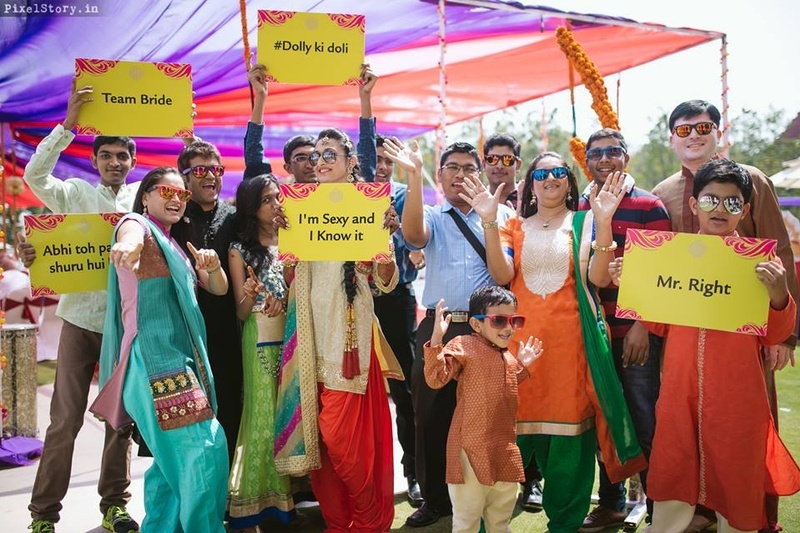 Cute and funny wedding props! 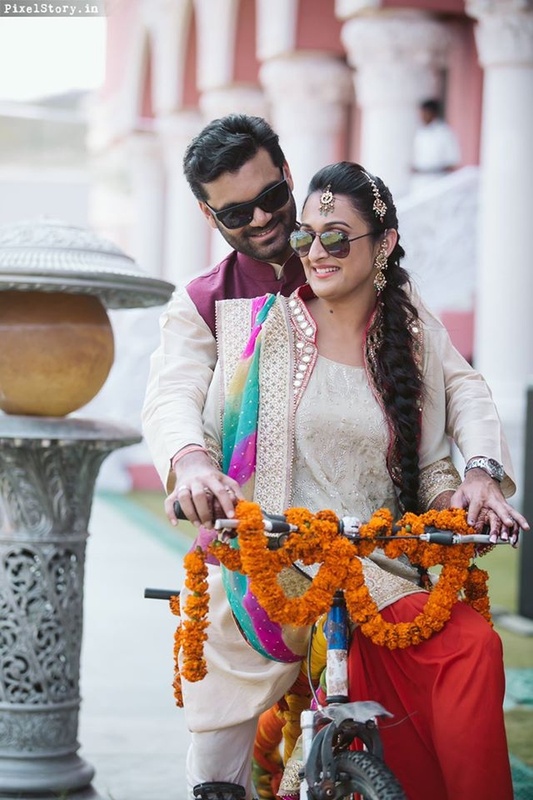 Dressed up in Kurti and Patiyala styled with traditional coatie designed by Mehak chawla-Bangalore, with Parandhi as the hair accessories. 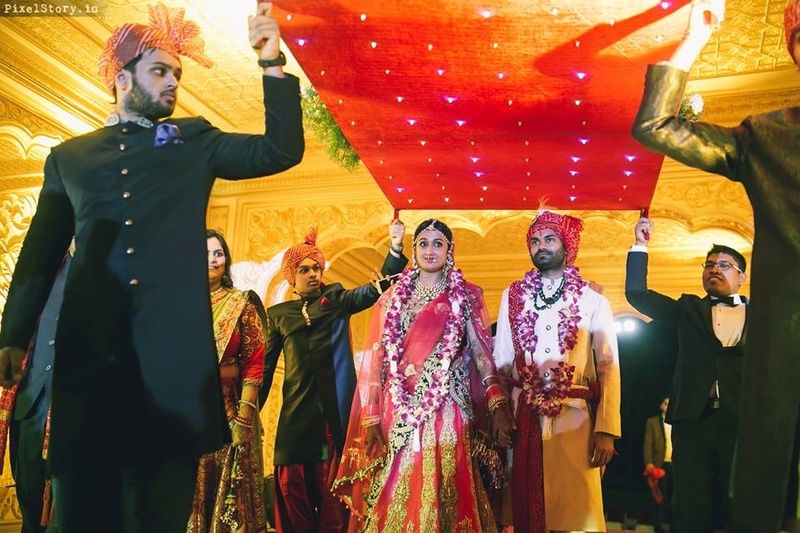 Groom complimenting the Bride in this maroon colored Bandhgala with white chooridar. 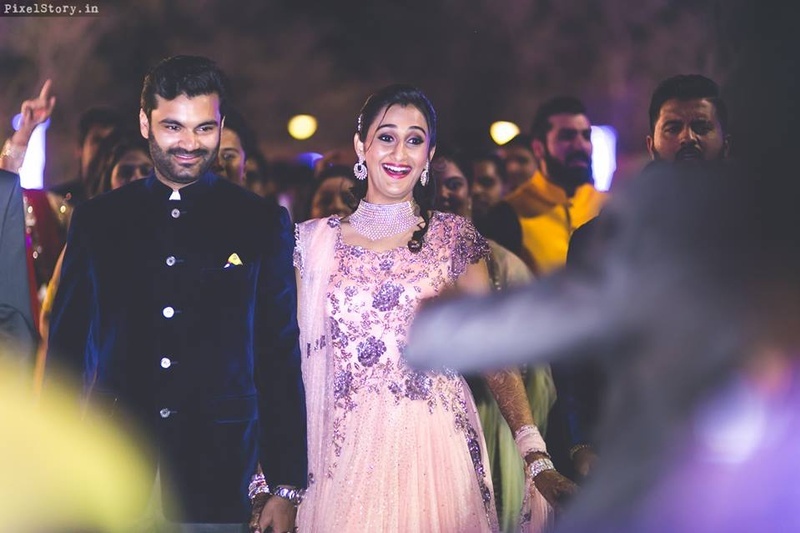 Gaurav and Khushboo entering their Sangeet ceremony reception held at Ramoji Fil City, Hyderabad. 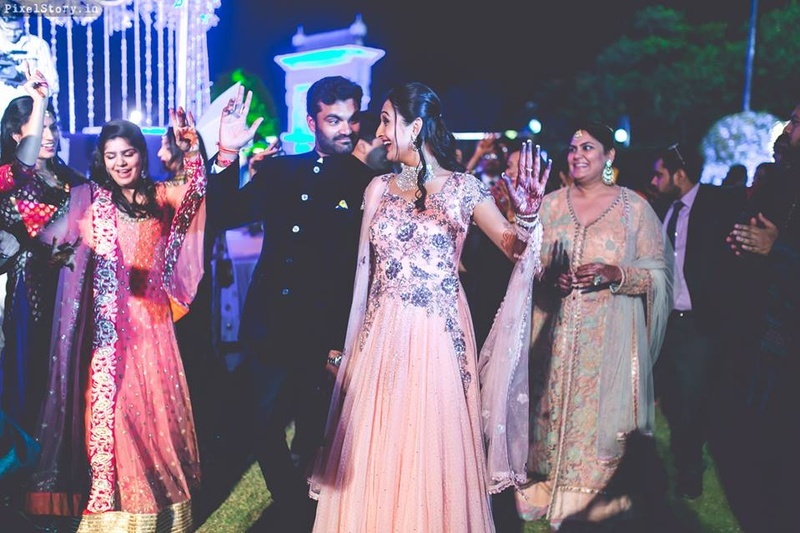 Gaurav dressed up in Navy Blue, canali nawab jacket with grey breaches. 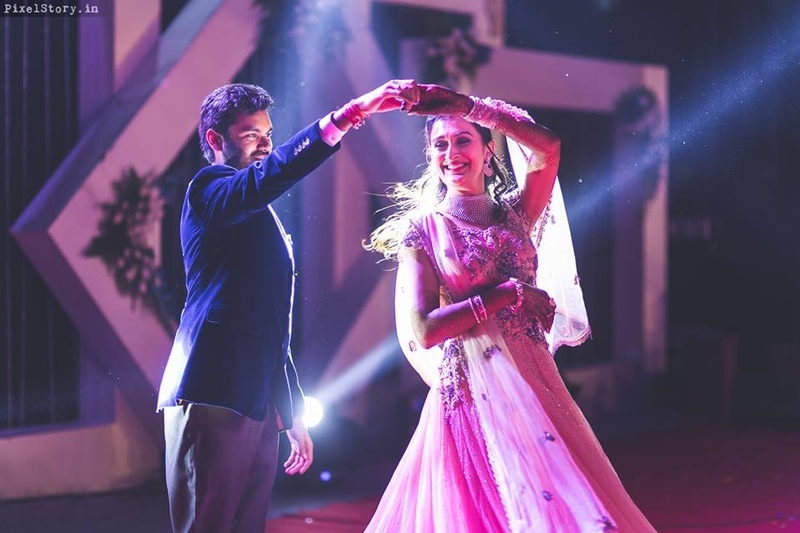 Bride and Groom performing on their Sangeet Ceremony. 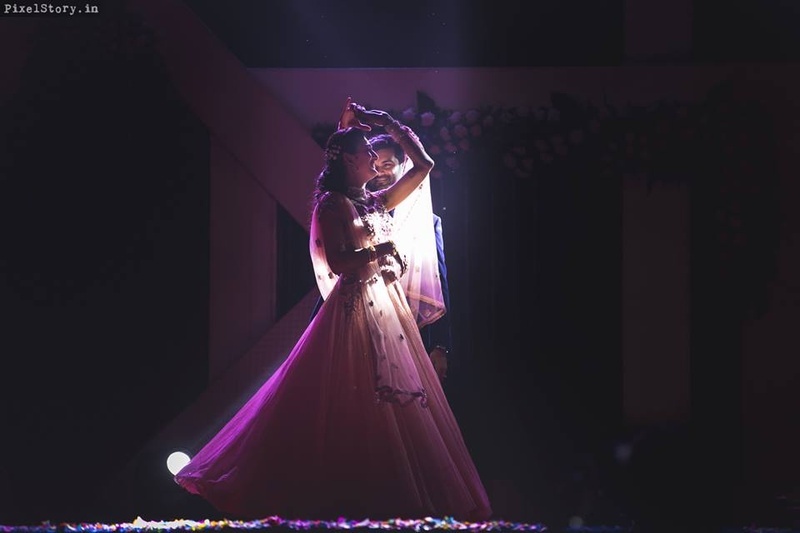 Couple dance performance for Sangeet Ceremony. 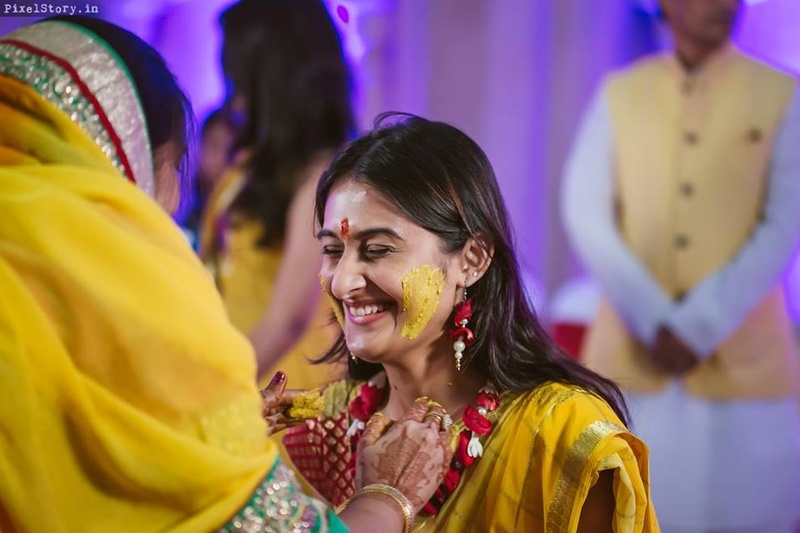 Khushboo dressed up in a haldi yellow saree and red brocade blouse, styled with minimal floral jewellery for the Haldi Ceremony. 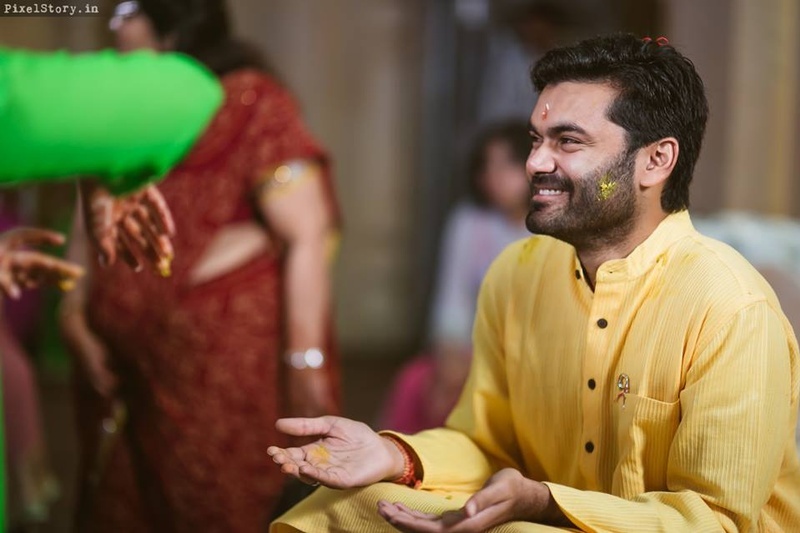 Dressed up in yellow kurta and white pajama for the Haldi Ceremony. 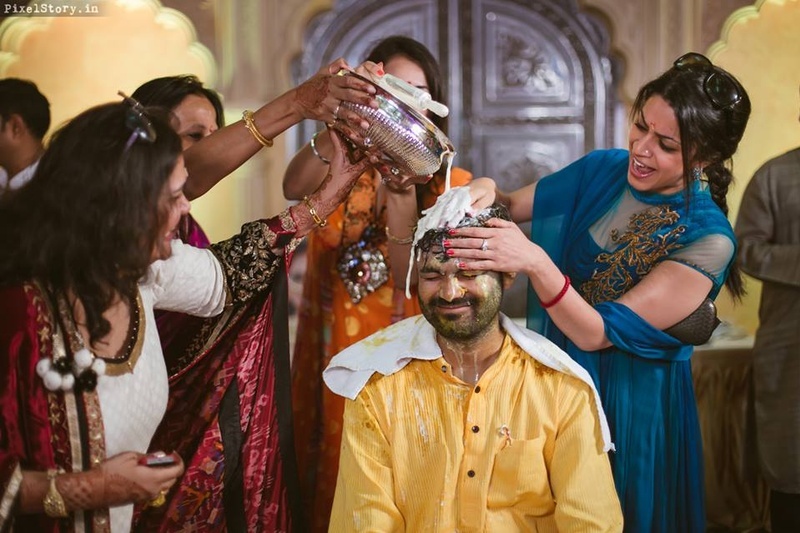 Drenched in haldi and milk at the Haldi Ceremony. 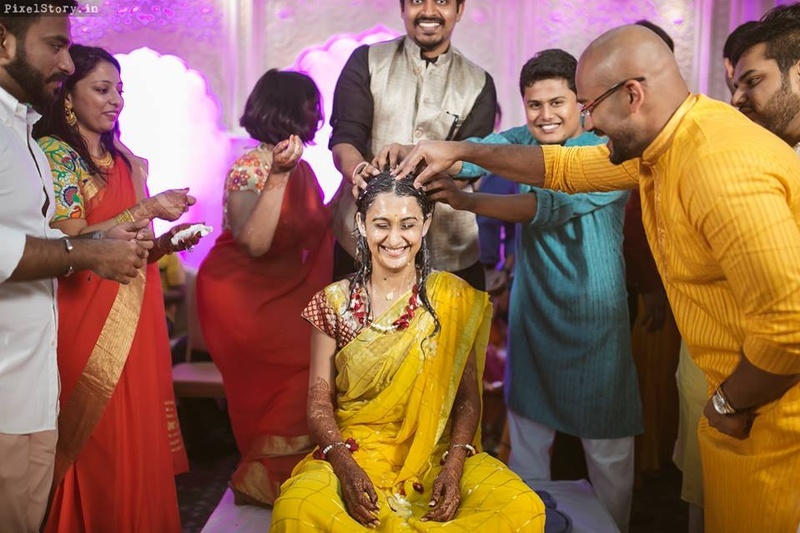 Drenched in Haldi and Milk. 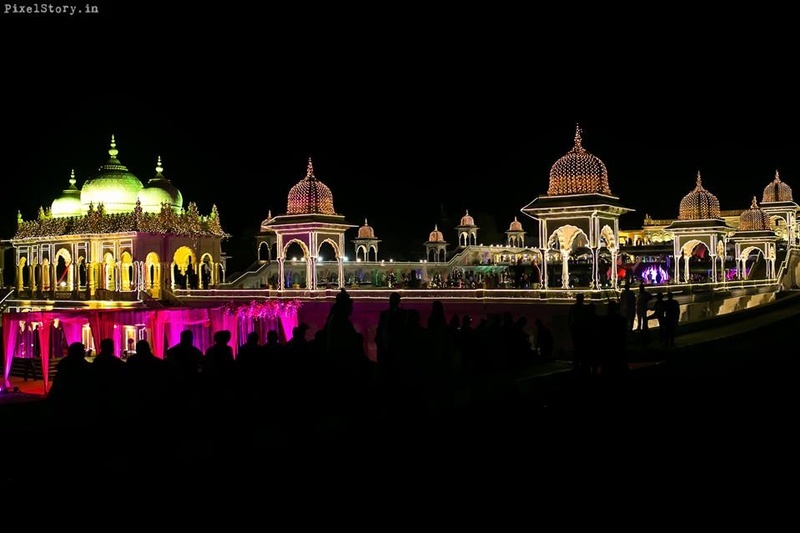 Ramoji Film City beautifully decorated with lights for the wedding ceremony. 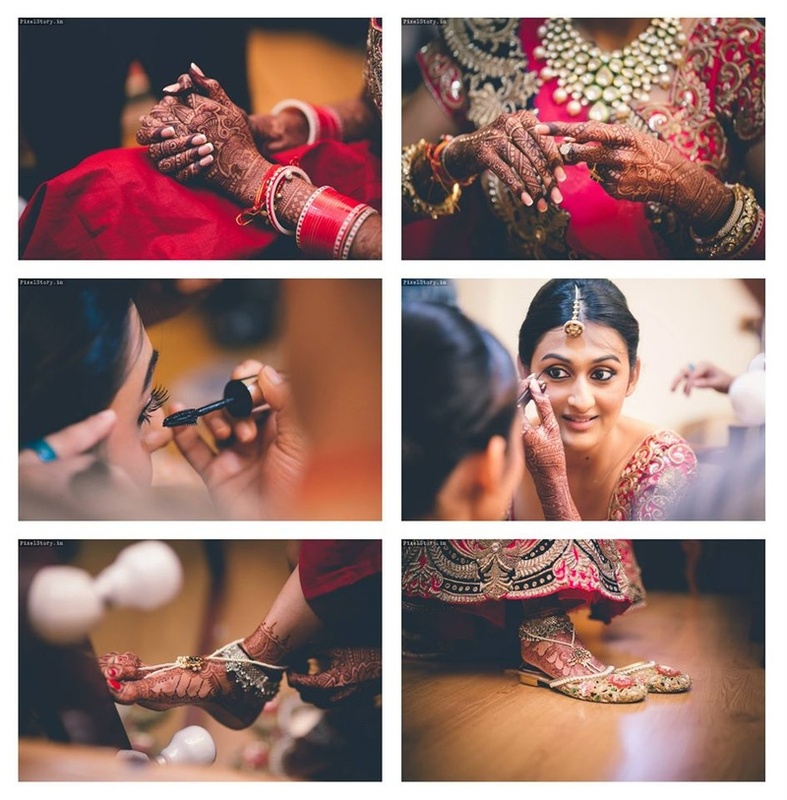 Bridal makeup by Shilpa Jain, Hyderabad. 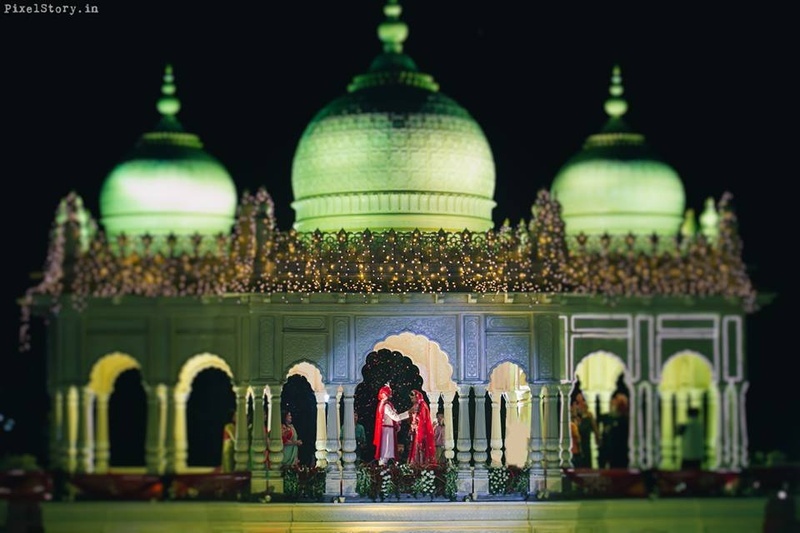 Baraatis entering the wedding venue in a royal style. 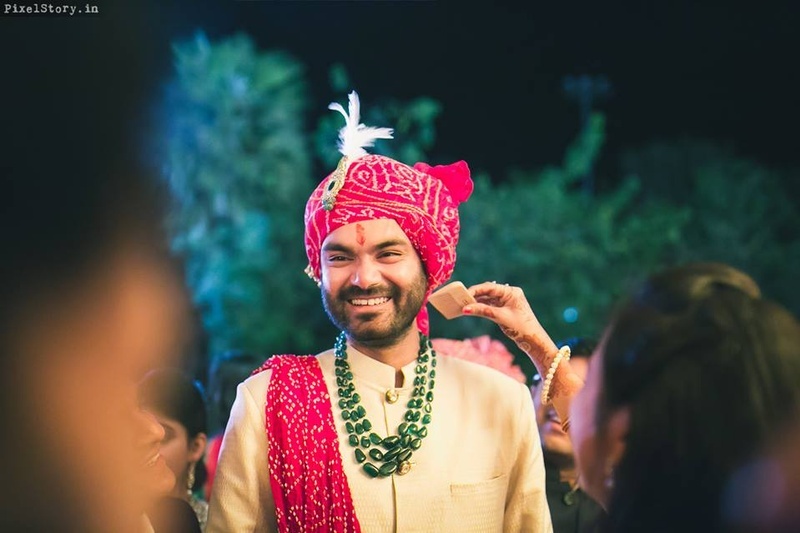 Gaurav dressed up in off white bandhgala paired with red bandhani printed turban styled with green stone neckpiece. 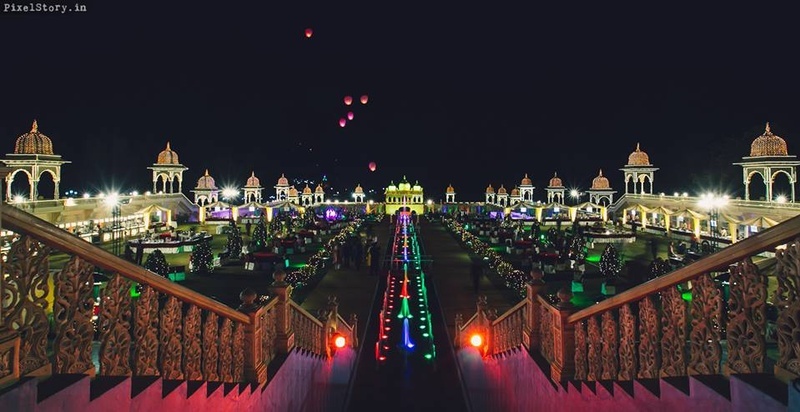 Grand Jaimala held at Ramoji Film City, Destination wedding venue. 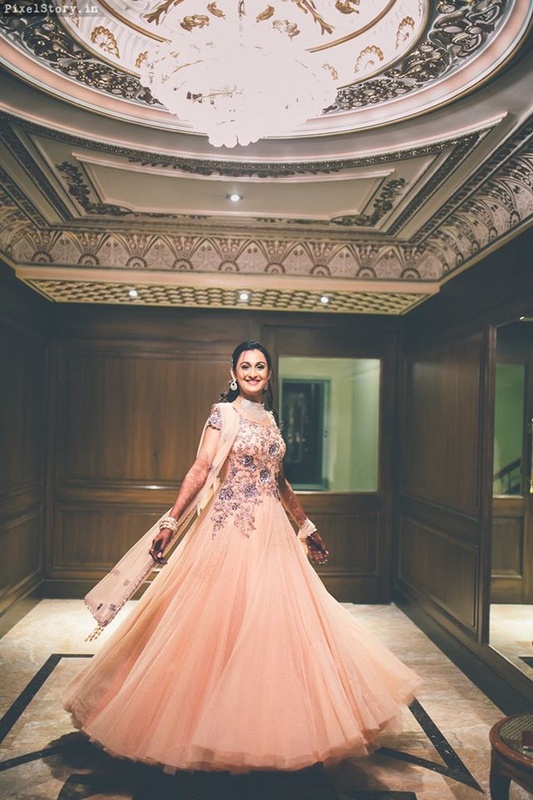 Bridal wear by Rohit Bal. 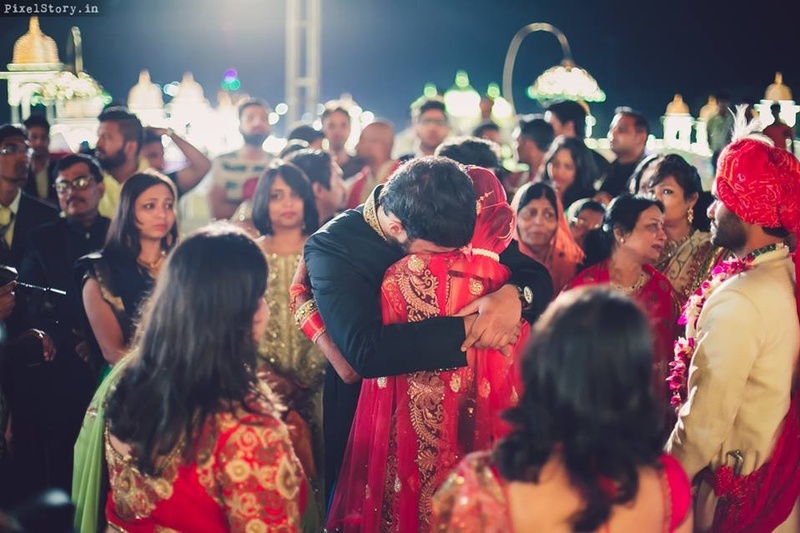 Special moments captured by PixelStory.in. 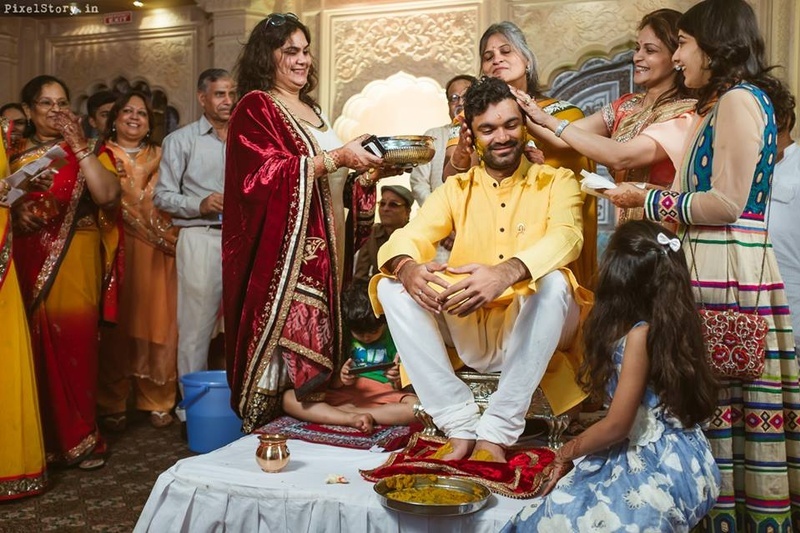 Gaurav and Khushboo getting hitched. 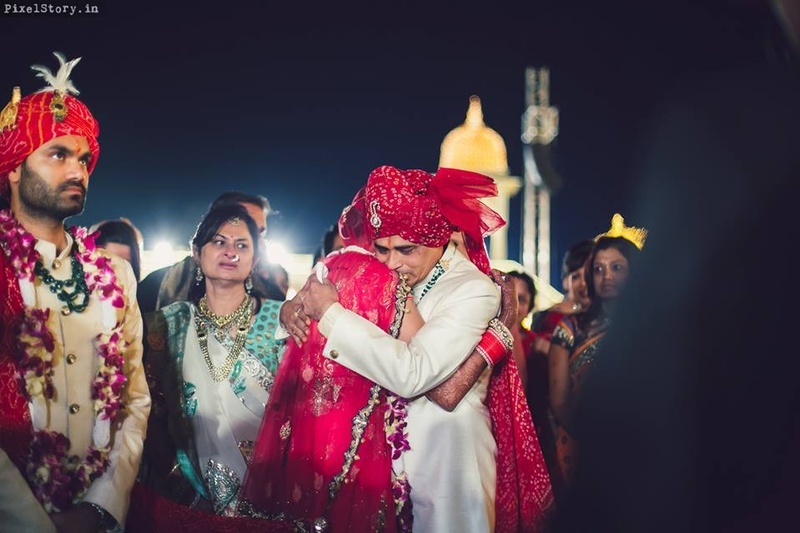 Bride and Groom leaving the wedding venue after the wedding ceremony. 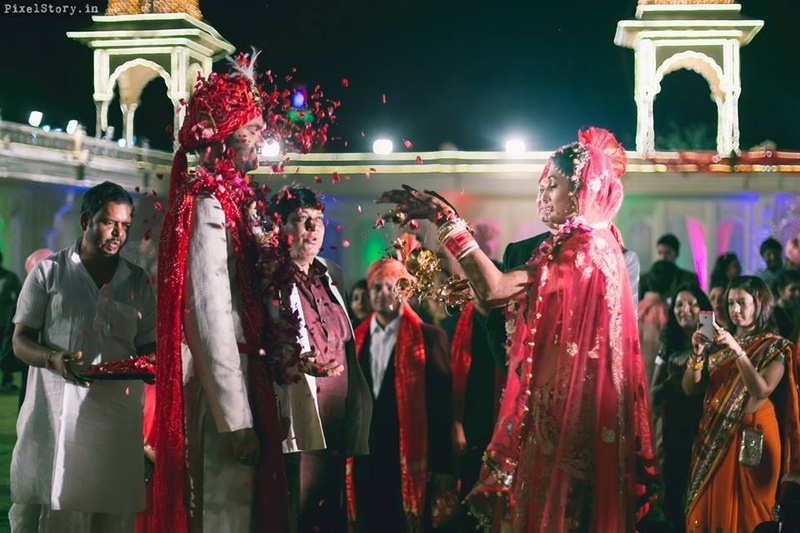 Ring finding ceremony post wedding.